For the Showtime update of this world, click here! There has been a settlement along the Kaen-Garen River for as long as anyone can remember. The Old Town of Jericho was a sleepy place, caught in the past, drifting along quite happily in its own little world. Until one day, someone constructed a big red bridge across the Kaen-Garen, and a new City Hall and high rise buildings sprung up on the other bank. Newcomers moved in, a local government was formed, and new institutions and businesses arose. All at once, the people of Old Town found themselves invaded by a new way of life, and they were not happy! Will the Old Town citizens be able to preserve their customs, or will they be forced to adapt to the new ways? Will Old Town become part of New Jericho, or will the old buildings remain as a monument to the past? Will the newcomers be accepted into the Old Town culture, or will the societies be ever kept asunder? Only your sims can decide! 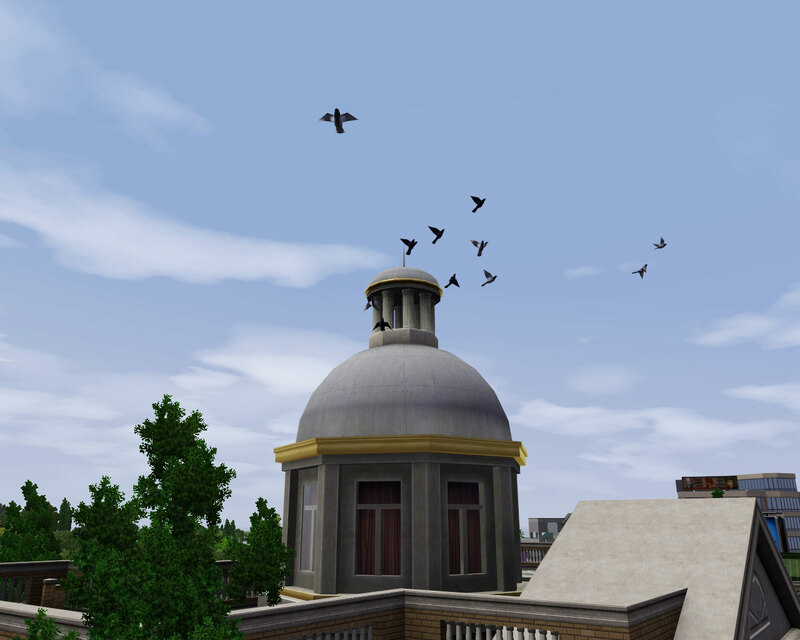 I have some images of my sims in Jericho here, I will be adding to those as I play. Jericho is featured in a great magazine, SF Magazine. Click HERE to read it! Jericho is on pages 106-109. Thank you to asiashamecca for that! Armiel has started a story about a Sim (Kimi Raikkonen ) who lives in Jericho, check it out HERE! Thanks, Armiel! Fourk has started a blog which is set in Jericho, check it out HERE! Thanks, fourk! Kiwi_tea wrote a very flattering review of Jericho, read it here! Thanks, Kiwi_tea! Jericho is situated on a peninsula in the ocean. The city of Boscaster can be seen inland, in the distance. The Kaen and Garen Rivers cut the land, creating a natural boundary between New Town and Old Town. The commercial area lies where the rivers merge, conveniently situated for access from both New and Old Town. To the south of the Jericho Peninsula is a swamp area, and several small islands formed by the Kaen are reclaimed for the New Town settlement. Jericho boasts sandy beaches as well as shingle, and several ancient monuments form landmarks on the Eastern hills. Climate is temperate, with varying skies. The wealthier residents tend to live in the New Town area, but some more expensive properties have been constructed on the Old Town river bank, perhaps prophesying a turn of fortune for that neighbourhood. 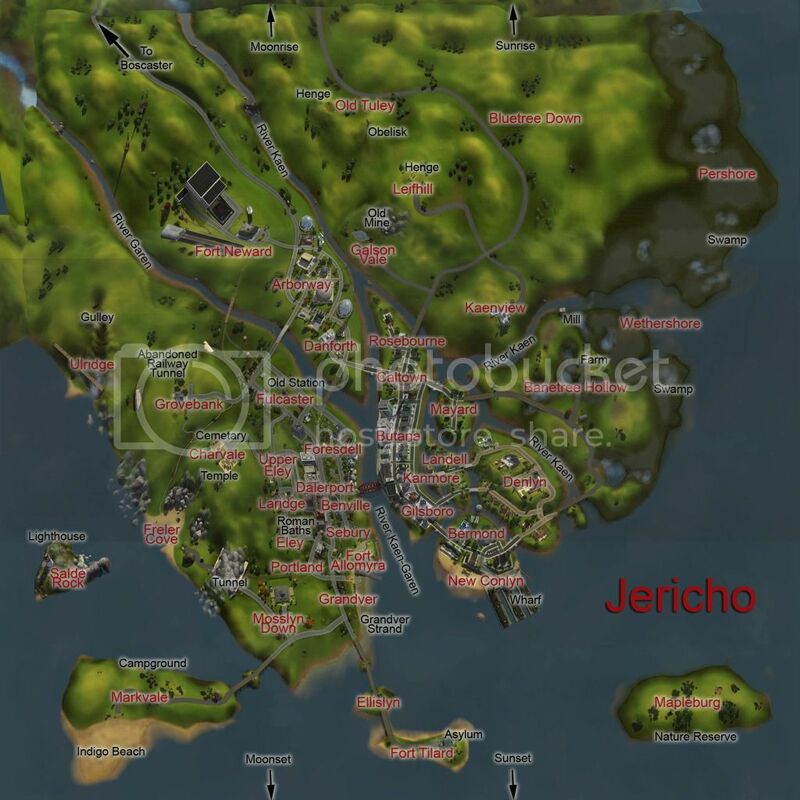 A map of Jericho can be seen here. Jericho is unpopulated. 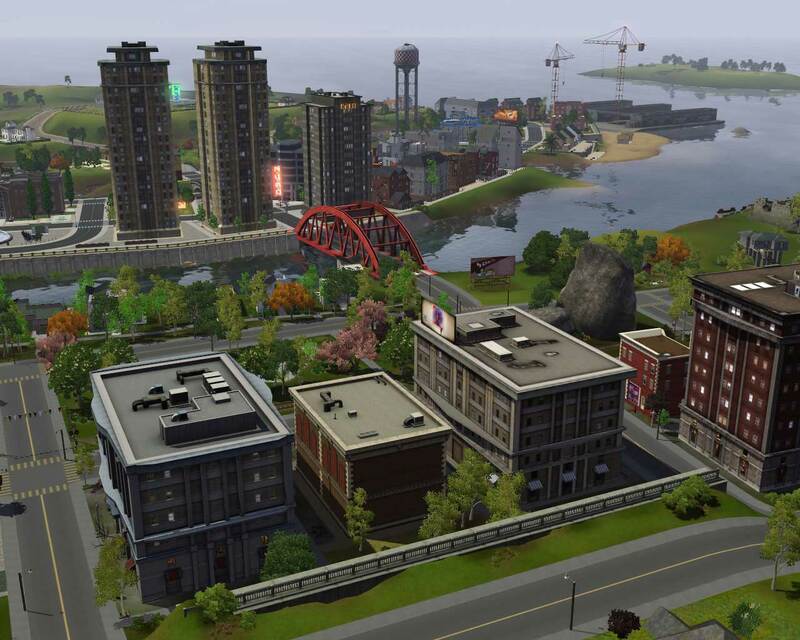 As you play, sims will be moved into the neighbourhood, or you can move your own sims in. If you wish to have more control or to rapidly populate the town, I recommend Twallan's Story Progression Mod. 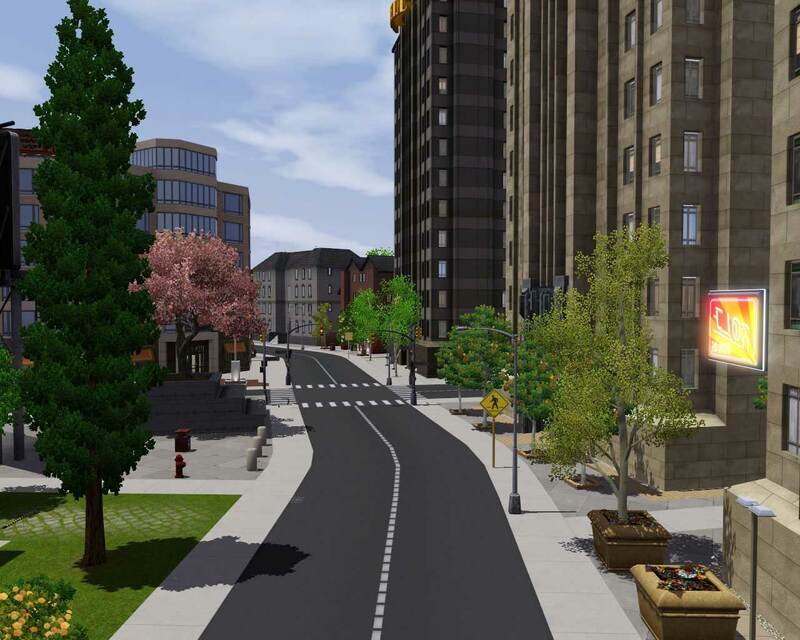 If you are looking for sims to move in to Jericho, I recommend looking at the Sim download section of this site, or perhaps the Population Project at Custom Sims 3. I have the sims I made for Jericho and other worlds available in my studio. Get them here! Treacle O'Flynn is the one I used to start my Jericho 'legacy' family. World Type: Jericho is a suburb (the same as Sunset Valley). Game Requirements: Basegame 1.26, WA-AMB-LN-GEN-PETS 10.0.96. Riverview (non-decrapified) is also required. 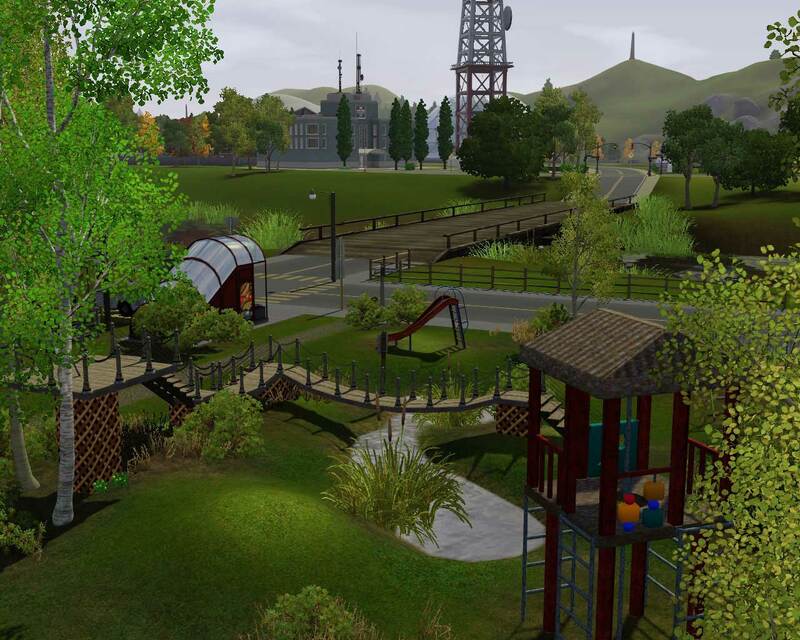 I have used features, objects and lot types from all of these EPs, and objects from Riverview. I cannot guarantee that Jericho will function well or look good without these EPs and Riverview installed. NOTE: You must have an original version of Riverview installed in your game. If you use a 'decrapified' version of Riverview then this world will not appear as intended, and several rabbitholes will be missing. Also, my rabbithole recolours will not work with the decrapified Riverview rabbitholes. Dalerport Garage uses objects from Fast Lane Stuff, and Arborway Fitness uses objects from Town Life Stuff. If you do not have these SPs installed, the world will work okay but those lots will instead have objects from the basegame substituted. If you do not have FLS or TLS then you should rebuild or delete those lots. 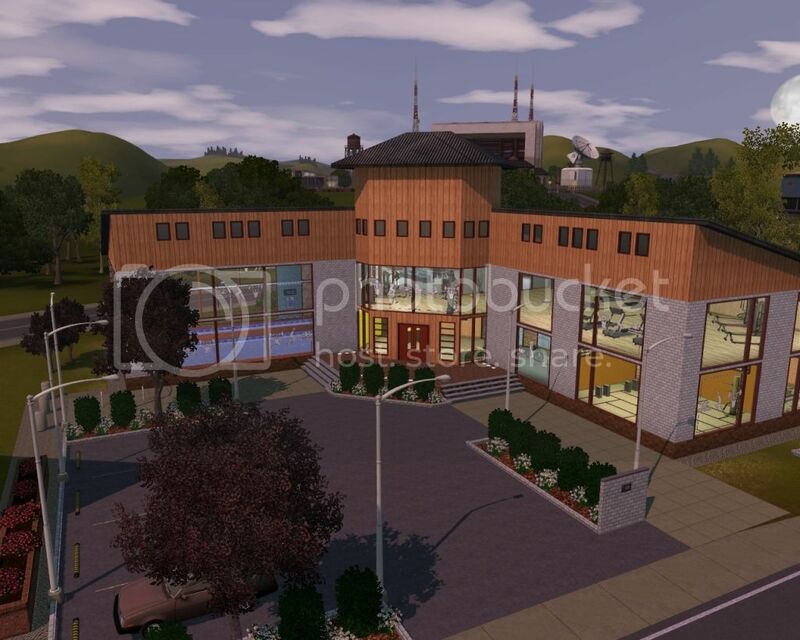 Click here for an image of Dalerport Garage, and click here for an image of Arborway Fitness. These may help if you decide to rebuild! System Requirements: The majority of this was built upon a very low spec computer, however Pets has pushed up the minimum requirements somewhat. This is a large world and it is also very complex; it makes use of effects and has a large number of lots. Lagging and Freezing: In tests, I was experiencing no lags or freezes except for the occasional stuck Horse (they seem to get stuck in ALL worlds, EA and Custom) or an occasional NPC on Mapleburg as mentioned in the Notes below. These can usually be solved by resetting the stuck sim using the command 'resetsim firstname lastname'. However, if you are experiencing a lot of lagging you could diagnose it using Twallan's Story Progression and this method. NOTE: Srikandi has pointed out that the newer versions of Twallan's mods have changed this slightly- please see this post. Thank you Srikandi! Also Daniel has this information, thank you for that, Daniel! 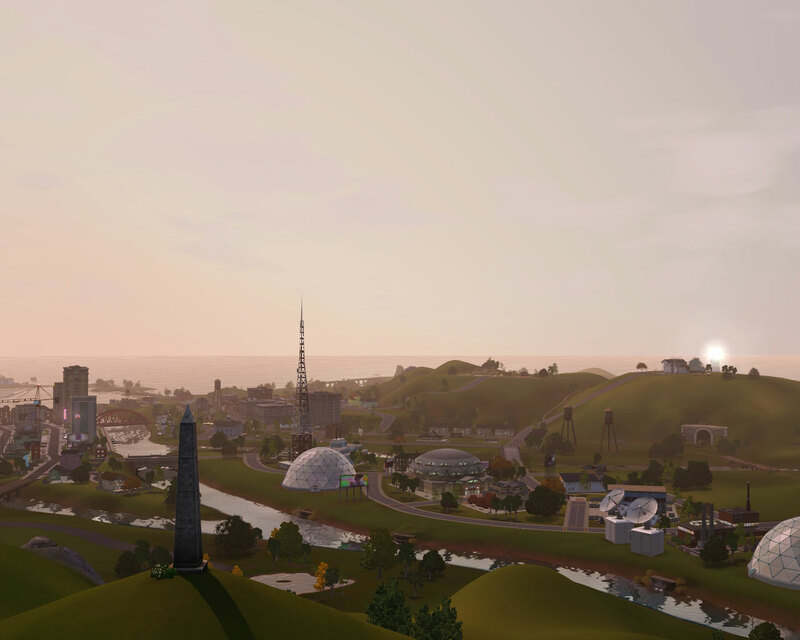 Please bear in mind that Jericho is a large world with more lots than the standard EA worlds, so if you have a low-end computer you might like to use a mod (such as Twallan's Story progression) to limit the maximum number of Sims that can reside in the world. Custom Content: None used (except for Riverview). Custom Resources: I have made extensive use of custom resources in this world, these are files that are included in the world file itself and only function for this world. 10 INI Overrides- custom sea and sky settings for Jericho and a custom fly through. 5 DDS Overrides- custom colour ramps, used to create sea, sky and light colours. 3 BNRY Resources- Custom water levels. A movie of the fly through can be seen here. More details about editing or removing these files, or creating your own custom weather for your world, here. More details on creating custom water planes here. Effects: Jericho makes extensive use of in-game effects, some are lot-based and some are at world level. Some of the world effects were imported from the EA worlds using this method. The number of effects in Jericho is comparable to that in the EA worlds, so should not cause performance issues. World effects in Jericho include Lighthouse FX, fireflies, birds, chimney smoke, pigeons, fountains, hot air balloon, windmills. I made a movie of a windmill and fireflies, showing how these add ambience to the game. Click here to see it. Terrain Paints: Jericho uses 15 terrain paints. All of the terrain paints were created by myself, most are EA recolours/realphas but some are made from textures found online. Each world chunk has 8 or less textures. Routing: The majority of the land is routable, including offshore islands. 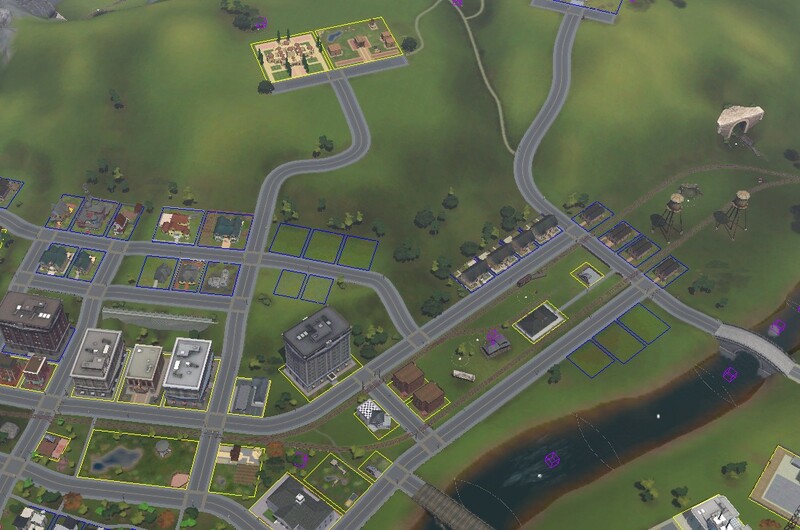 Near to the distant terrain is a band of non-routable terrain, this is to prevent your sims from seeing the join! Some steep areas have been marked as unroutable, where it would look unnatural for sims to walk. Spawners: All basegame and EP spawners have been included, except those which can be found in the WA Vacation destinations (although one or two exotic fish spawners are placed). I have made a map showing the location of OFF-LOT spawners; I have not included the lot based spawners in this, since those can be changed to your liking. Click here for spawner map. Small animal/bird spawners are placed on lots; however the metal/gem/seed spawners seem to spawn small animals and birds too, so you should see plenty in Jericho after a few days. Lots: There are 162 lots, 82 residential and 80 community. There are 8 empty residential lots (and one which is under construction!). 14 of the community lots are subways; these are marked as Hidden Tombs so you will not see them from map view unless you enable lot locking, but you will see the Subway Map tags. A map of the subways is here. 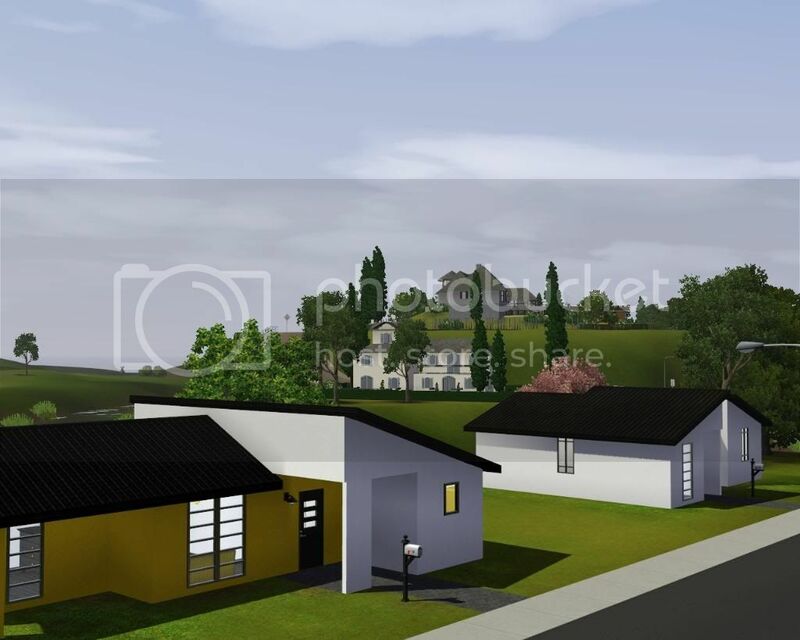 All lots are built by me for this world; I have taken inspiration from many places, both real life, virtual and sim. Where I have taken influence from fellow simmers, I have made a note of this in the Lot description. However, I have soaked up ideas from so many people in this community over the years that it is possible I've forgotten to mention it, so I thank all of the simmers who share their ideas, pictures and custom content. For people who use Twallan's SP or Awesomemod, Clutzy made a crib count here. * In Game Price is the amount your sim will pay to own the lot as a business venue. Blank sky: If your sky looks blank like this when you start a game then please save, exit to main menu and reload the save. The custom skies I made all have cloud cover, and should look more like this.. This is a game glitch and is not unique to Jericho. Strange fog on lots: When you start a new Jericho game, please save, exit to main menu and reload the save. This will cause the effects to load correctly, so you will see rats, steam, fireflies and pigeons instead of fog patches. This is a bug with custom worlds and is not specific to Jericho. Gobo Lights (club lots): These lights always reset upon exporting the world from CAW, so you should click on them and choose a pattern, colour and movement to your liking when your sim visits. Strobe Lights: One of the lots (The Game On! Club) has two strobe lights fitted and activated. If you do not like these then please enter the lot in Edit Town mode and delete them. They are situated on the ceilings next to the dance floors, and there is one downstairs and one upstairs. If you wish to keep them in-game but want to switch them off, then you can do so by having your sim visit the lot and click on the strobe light unit and select 'switch off'. Searchlights: Two of the clubs have searchlights, these will be stationary until you click on them with your active sim and turn them on. Gnubb sets: Conlyn Beach and the Bamboo garden both have spaces for gnubb sets. Unfortunately, including a portable gnubb set in a CAW world seems to hopelessly break them, so you could instead place these yourself in Edit Town mode, or else have your sim carry a gnubb set in her inventory. No music in clubs: This is a game bug, and not specific to this world. In my game I can usually force the sound to work again by clicking on my sim's lifetime reward panel until the music there plays. Then, the club music will start when you re-enter live mode. If this fails try going to world view so that the music plays, as this might kick start the club music when you return. Objects floating in the air on lots: This is a game glitch in which certain items (plants, boxes, deco items) will show on a different level (storey) to the one they are placed on under certain circumstances. You can fix this by grabbing the item and replacing it in buy mode, or if it really bugs you just delete them. It is purely cosmetic and will not glitch the game. Cash registers: I have made extensive use of cash registers and bars in Jericho, and the game will assign NPC sims to each of these. If you have a low-spec computer or do not wish to have random NPC sims in game, you could delete some of these or use Twallan's Register Mod to control them. Food Trucks: I have placed Food Trucks in Jericho. These cannot be removed (in an unmodded game) unless you demolish the lot. Most of the food trucks are on dedicated subway lots (which are zoned as hidden Tombs). In a suburb, which Jericho is, the food trucks can be used to buy food, however they will not drive around or spawn. If you wish to have the food trucks drive around you need to either mod the world into a city or else install Twallan's Traffic mod. Rabbithole Names: Some of the rabbithole buildings are designed to have different names to that which the game gives them. For example, the spa should be called 'The Rose Nouveau Spa' instead of 'Sunflower Spa'. You could rename these in game to match the lot name using a debug enabler mod, or else have your sim purchase the lot to rename them. Unfortunately it is not possible to rename the rabbithole at world level, this information has to be stored in the save game. Ceiling Tiles: Many lots in Jericho have recoloured ceiling tiles, unfortunately the game can sometimes corrupt these to give holes or superfluous tiles. This is purely graphical, and will not affect game play. I have gone to great effort to ensure that all ceilings are intact, however it is possible I have missed some (and equally possible for tiles to glitch as you play). Should you see any glitched ceiling tiles during game play then you can easily fix them in buy mode, either by using the sledgehammer tool or else by deleting/ repairing using the floor tool. Twallan's Traveller Mod: This world contains one lot (Arborway Motel) which is zoned as a Base Camp. This is intended to be used when playing Jericho as a vacation world using Twallan's Traveler Mod. 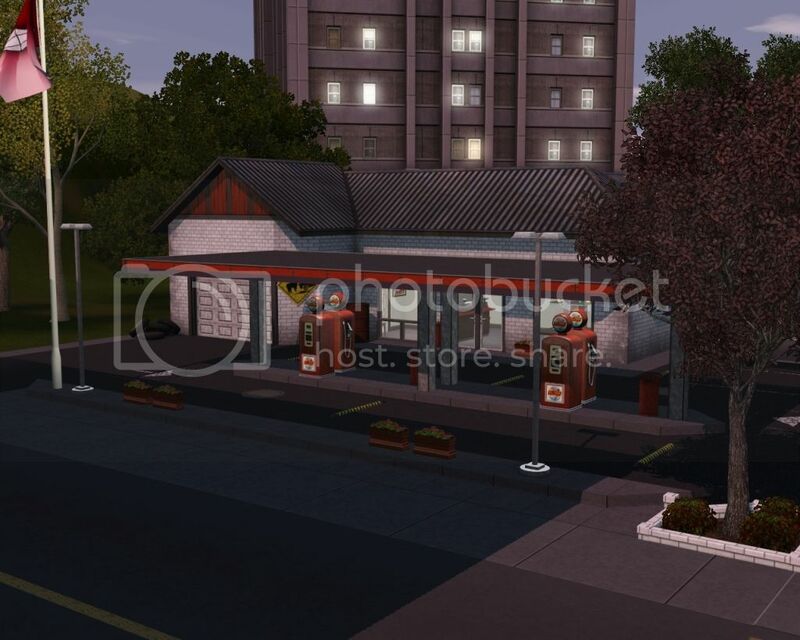 However, the Arborway Motel can be visitied when playing Jericho as a base world too, and your sims can sleep and eat there, as well as gain opportunities from the adventure board. Texture Overrides: The texture overrides are contained in the World file, as mentioned previously. This means that they will not normally affect other worlds. However, if you play Jericho and then load another world (for example, Bridgeport), you may notice that some objects have retained the custom colours included in Jericho. Likewise, if you travel to France/ China from Jericho, you will notice that the bridges retain their default colour when returning to Jericho. This is purely graphical, and will not affect gameplay at all, and is not permanent. To regain the correct colouring (in Jericho or any other world) simply save, exit the game and reload it. It is caused by the way the game handles default textures, and is not an error as such (just a limitation of using overrides). Schools: Jericho has two schools, in an attempt to prevent route fails when you have a large amount of students. In an unmodded game your sim kids will be sent to the nearest school (as the crow flies, not necessarily the nearest by road). If you wish to change the school that your sim kid attends then you will need to use a mod, I would recommend Twallan's Master Controller or Careers Mods. 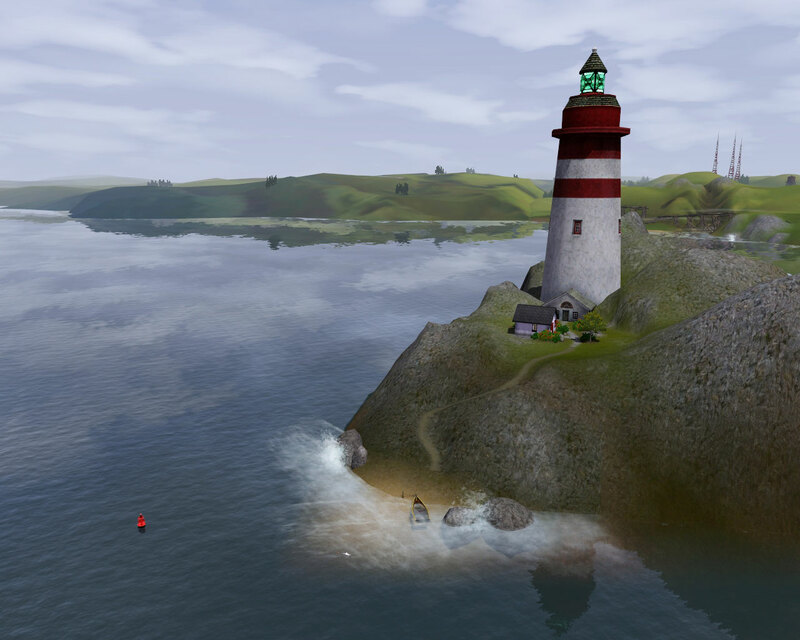 Mapleburg Island: Jericho has a routable Island, Mapleburg, which is only accessible via a hidden dive well. 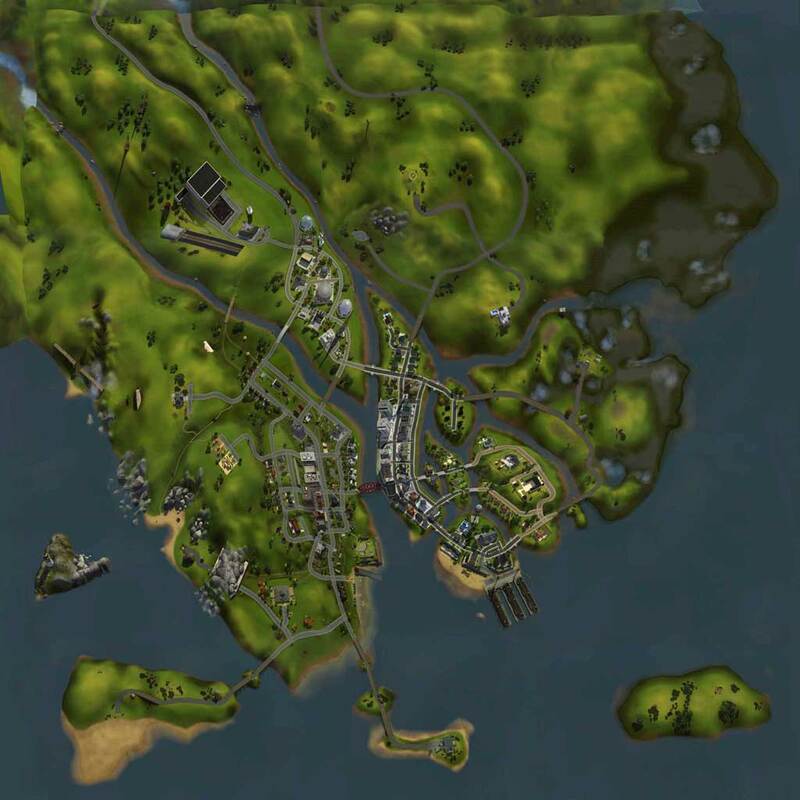 Unfortunately, upon rare occasions the game will spawn an NPC on this island, which could cause slight lag as the game attempts to route the sim to their destination. If this occurs, you can reset the sim by typing in 'resetsim firstname lastname' to the console. This is an side effect of having inaccessible routable areas. Railway Houses (2-8 Dalerport Street): Skullith pointed out that I omitted call boxes in these apartments, and so it may be difficult to visit sims living here. If that is the case, please place one of the small wall call boxes from the Electronics catalog in the foyer on the NPC side of these lots. This is where they were intended to be, I can only think that I forgot to place them! Sorry for any problems, thanks to Skullith for pointing it out! Police Station and Gaol: Ani_ pointed out here that there is a problem with the floor in this lot. It is part of a tomb, it looks as though I inadvertently deleted the floor tiles. Please replace these in build mode before playing the tomb; you can copy the floor texture from the other parts of the tomb to repair this. Apologies if this causes a problem for your sims, thanks to Ani_ for finding it! Thanks to Armiel for these, I pinched them from her Charlton Island thread! 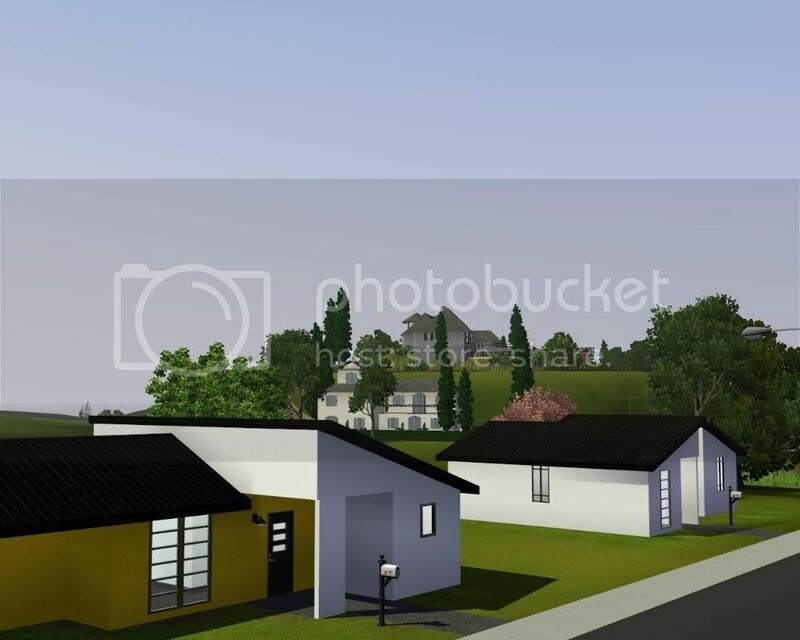 I uploaded a copy of the Sims3Pack file. If you are a world creator and would like the CAW files for Jericho, I have uploaded them to a file host. You do not need these files if you just want to play Jericho, they are only here for people who would like to edit the world file for their own use. To use these files, download and extract them to Documents \Electronic Arts \The Sims 3 Create A World Tool \UserToolData \Worlds. You need 7Zip to extract these files. Link to CAW files- Click Here. 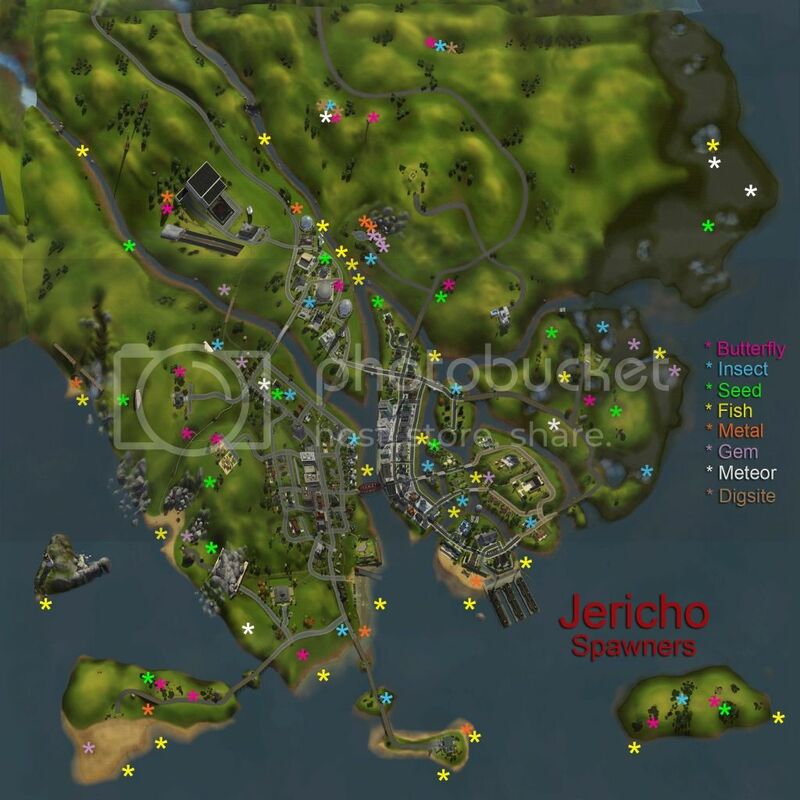 If you would like the custom recolours and sea/sky files for Jericho, I have uploaded them to a file host. You do not need these files to play Jericho, they are just for people who like to build their own worlds. The resources are included in the CAW files, but you might like to also download the resources separately. To use these files, import them into your custom world with S3Pe. Link to resources- Click Here. The comments and support of the simmers at Neighborhood99. SandrineD and Zaide_Chris for the waterplane tools! Twallan for the mods I used to test Jericho. GiLaNG for the modding tutorial and Framework. The developers of the S3Pi Sims tools for S3Pe. And the simmers who downloaded and commented on my Creator Feedback thread- especially the fabulous Armiel! Aimz for the comments, sims and tea! Tom, Mark, Travis, Mark, Gary and the three stooges. Oh, and not forgetting Keith and Dave. Thank you to all who have downloaded, commented and sent me kind messages regarding Jericho. I am really pleased that so many people are enjoying this world, and am grateful for all of the feedback! 3)Right click on the first file and select "Extract here..."
4)Right click on the first file and select "Extract here..."